The New Moon arrives at 26 degrees of Capricorn on Tuesday, January 16 at 9:17 PM EST. We all long for something new. While each and every moment offers us something fresh in the form of awareness and experience, it is paramount for us to recognize when there is an actual beginning cycle occurring within the cosmos; for it is within this auspicious time frame that we plant ardent seeds of intention; seeds that can grow into the tallest Redwood. The first New Moon of the New Year promises to be one of grounded breakthrough. We are in a time of strong Capricornian energy, as coinciding with this New Moon we have accompanying potent Capricorn placements which include Venus, Mercury, Saturn, and Pluto! We are now living among a small herd of cosmic Sea-Goats, swimming the vast ocean of emotion while scaling with persistence toward the pinnacles of our lives with great determination and the conviction of our spiritual and material goals. We are ardent and tenacious. When there is a strong profusion of one sign, we are gifted with the opportunity to embrace and more fully realize that sign within a specific region of our star charts. There is heightened desire and focused will to manifest that particular area of our lives with dedication, determination, and discipline. Paramount to this process is integrity. 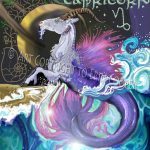 Capricorn The Sea-Goat is a cardinal feminine earth sign. The qualities of Capricorn include integrity, responsibility, loyalty, dutifulness, melancholy, tenacity, leadership, seriousness, aloneness, wisdom, and fortitude. 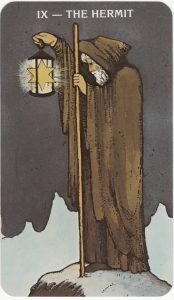 Capricorn embraces the archetypes of The Wise Elder, The Builder, The Hermit, and The Father. Saturn recently entered Capricorn. As the ruler of Capricorn, Saturn’s expression through it’s own sign is potent and life affirming in highly constructive and practical ways. In short, the Capricorn New Moon provides a pristine foundation for what we are striving toward, both inwardly and outwardly in the year before us. Uranus’s challenging yet enlightening relationship to this New Moon catapults us into the depths of Capricorn, imbuing this dutiful earth sign with a sense of unbounded freedom, informing us of our true and inherent make-up as both human and spiritual beings. Within the highly vibrational electric sparks of Uranus’s accompaniment to the New Moon, lies a strong foundational earth-sky centered awareness that we as human beings can fully access. Our awareness of this is ripened as we decipher a fuller more embodied understanding that we are not completely of this world. In essence, we are both worldly and otherworldly. As we breathe through multiple dimensions, we traverse the path with our feet planted lightly yet firmly upon sacred ground while simultaneously stepping high toward the heavenly peaks of our soul’s longing. While we marvel at the mountainous peaks from afar, there is nothing better than beholding them in close view. As we climb the continuous mountain ranges of our lives, each summit offers yet another peak to scale. We keep climbing. As human beings there is no final destination. As spiritual beings, the sky’s the limit. Welcome to Heaven and to Earth. CAPRICORN NEW MOON BLESSING UPON YOU. Copyright © 2016 ~ Cosmic Consultation ~ All Rights Reserved. Designed by WJDesigns Website Design.